The journalists described in “Changing Journalism” (Routledge), the readable and summarily dour analysis by a trio of UK media researchers, resemble nothing more than the frog in the increasingly steamy pot of water, heart rate rising, contemplating escape as not merely an option but perhaps the only option. What a miserable industry these authors — Peter Lee-Wright and Angela Phillips of the University of London, and Tamara Witschge of the Cardiff School of Journalism — sketch across these eight brisk chapters. Of the handful of books iMediaEthics has featured in our Books, Authors and News Organizations series, Brooke Gladstone‘s The Influencing Machine is easily the most breezy read. The book used a graphic novel approach to her 2011 book on journalism, its ethics and its history, with Gladstone, host of NPR’s “On the Media,” as narrator. Josh Neufeld illustrated the book. Whereas most of the books we’ve looked at so far take a standard textbook approach, Gladstone’s graphic novel was a welcome change, relying on visuals equally with words. Bill Kovach and Tom Rosenstiel, the authors of the standby journalism textbook The Elements of Journalism, have published a new book on changing media and how to discern what news is best. Blur was inspired as Kovach and Rosenstiel revised their first book, Elements of Journalism, Kovach explained. Last year, the Society of Professional Journalists publicly “denounced” ABC, NBC, CNN and CBS for paying sources — or, as journalists refer to it, checkbook journalism. Examples of checkbook journalism cases and other ethical decisions faced by journalists are featured in the latest revision of the SPJ’s book on journalism ethics. 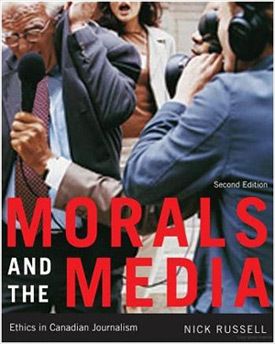 Morals and the Media: Ethics in Canadian Journalism, which describes itself as the “first book on Canadian journalism ethics,” focuses on English-language Canadian media and the ethical questions that those news outlets face. 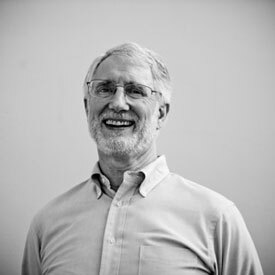 Russell explained to iMediaEthics that he wrote the book “largely because I was shocked, as a Journalism teacher in Canada, to find (a) Journalism Ethics wasn’t being taught, and (b) ALL journalism texts were American." You know you have stumbled upon a third rail of media ethics when a book about “the art of controversy” is published without showing the most controversial examples. Such is the case with Victor S. Navasky’s The Art of Controversy: Political Cartoons and their Enduring Power (Knopf). “Who wins, who loses? Why not follow the rules?” These ethics questions are among those journalists and others working in media should consider before making ethical decisions, according to a new ethics textbook Doing Ethics in Media: Theories and Practical Applications. Pursuing a global version of media ethics is a difficult charge on multiple fronts, akin to deciding on the rules of a new sport while in the middle of a match. Let’s consider two of those obstacles, drawn broadly from a series of works Muhammad Ayish and Shakuntala Rao have compiled as Explorations in Global Media Ethics (Routledge). The New Media Nation, the latest book by Valerie Alia, a journalist and professor of ethics, identity, and the politics of naming focuses attention on Indigenous media and the ethics of reporting on Indigenous people.